Flash cards? Study groups? A set of encyclopedias? No one studies with these tools anymore. (Or so your student has just informed you.) Apps are the way. These little tools are right there on your phone, ready to work for seconds, minutes, or hours at a time. They deliver everything from answers to current news to teachers. They will remind you to study. They fill boring moments with micro-bursts of learning. But there are gazillions of them. Which ones should you load on the study page on your phone or tablet? Sometimes this is obvious because the teacher demands it. Other times? It’s a wild world out there. Here are some suggestions. ClassDojo is another app that’s popular with teachers. It is a virtual place where parents, teachers, and kids can share school moments as they happen. If your kids are young, it helps keep you in the loop because the last thing a child wants to do after school is talk about school. 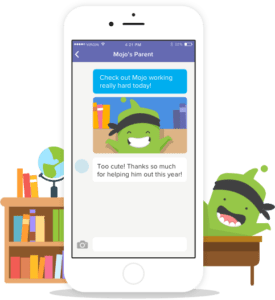 If the teacher and student use this, you (and the teacher if you post to it) get photos, messages and Facebook-like update feeds.” ClassDojo recently partnered with Yale and Stanford universities to teach social-emotional skills like empathy and mindfulness through the app. 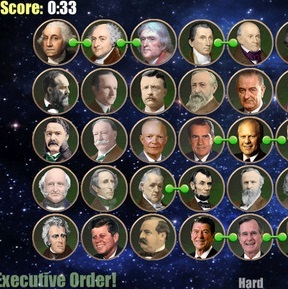 Jumpstart is a site loaded with games that help kids study. Need to memorize some math facts? Gaming is perfect for that. Instead of learning some useless in-game nomenclature, learn math. There are lots of these here, arranged by grade level. But be sure and check out Math Blaster. You can download games to the computer or a phone or tablet. BrainsOn! Is a collection of smart podcasts for kids. My son loves podcasts. He listens while walking the dog, doing chores, or just lying around appearing to be lazy. And he has learned a lot from them. Some of it of suspect value. 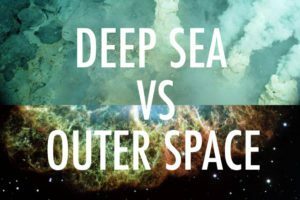 These educational podcasts about science are created for kids, so you don’t have to worry that the content will be out of reach or inappropriate. It was developed by three American Public Media journalists in their spare time, and just won a grant from the National Science Foundation! It explains the science behind all sorts of everyday things, from the eclipse to farting. 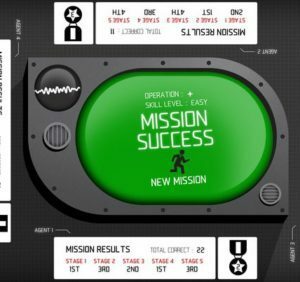 Set your young agents — this game encourages teams to work together — loose to make the world a safer place, disarm the evil Dr. Odd’s devious devices, and learn binomial addition and subtraction equations to do it. The pressure builds as players must disarm the devices while the clock ticks. The secret spy tools needed to do this? Math facts. The game keeps track of his progress so that M (that’s you, Mom) can see how well he knows the math. 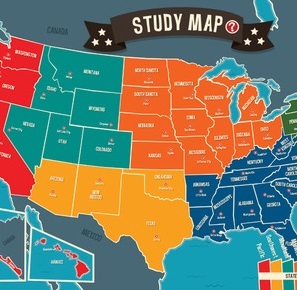 I think the best way to teach geography is to travel. Well, this game is a lot cheaper – and easier – than traveling with kids. And, while they won’t learn what the Salt Lakes taste or smell like, the mini games in this app will teach state flags, shapes of the states, capitols, and the sort of geography facts that come up on school tests. So maybe play this first, then travel? Wouldn’t it be great if your student could read while walking home from school, practicing soccer, or cleaning his room? Not a problem. Audible has a huge collection of audio books and an app for most tablets and smart phones. 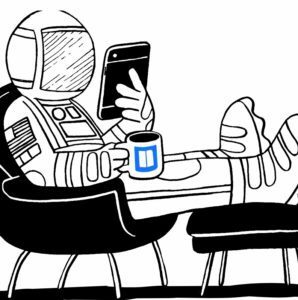 Drop the app on his device, give him a good pair of headphones, and he won’t have to find time to sit still and read. 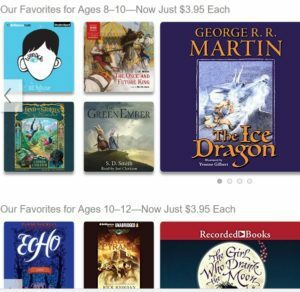 Audible has been busy expanding the chilldren’t content and breaking it up by recommended reading by age. This is a fantastic way to incite rabidness in a reader. Memberships start at $14 a month. Didn’t quite understand the math? Finding physics muddling? Suddenly forgot everything you knew about grammar? 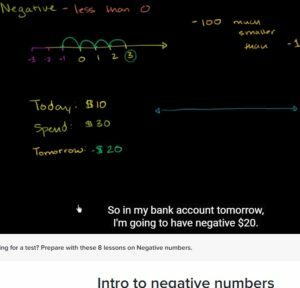 The Khan Academy app heals all in short lessons on a wide range of subjects, starting in Kindergarten and ending in advanced physics, from a great teacher. This app is the solve for a bad teacher, a kid with attention issues in school, falling behind in math, and losing interest in any subject. Sometimes a great teacher is all you need. All free. Cartoons that are funny and also teach science, social studies, English, math, and more? Must have! Why would anyone listen to a lecture when you can listen to Tim (a boy) and Moby (his robot) explain the same subject with humor and goofy animations? The free app delivers a cartoon every day. 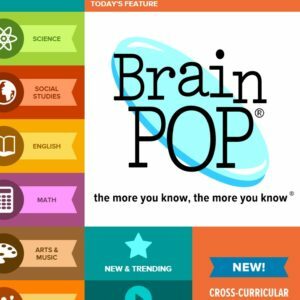 I recommend a Brainpop.com account ($11 a month) so you can access them all. 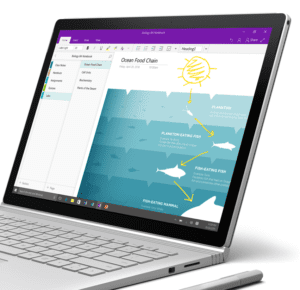 OneNote creates a virtual three-ring binder. Create a notebook for each class. Add a section for each day or project. The format as familiar as that classic binder but it syncs with an online version of your notebook whenever it has a connection. So when your student opens the full-fledged program (in Microsoft Office) or logs in from a Web browser, all her notes are there. It can capture photos, drawings and audio and video. 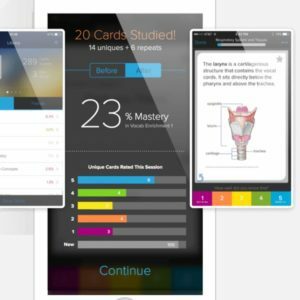 Note taking on automatic? Where was that when I was in school? Essential. Organization is often the secret to good grades. It’s one thing to understand the math. It’s another to do the homework, turn it on time, and be prepared for tests. The MyHomework student planner app will keep track of what’s due when and remind her. If the teacher uses Teacher.io, join the class in the app and it will enter all the information, too. 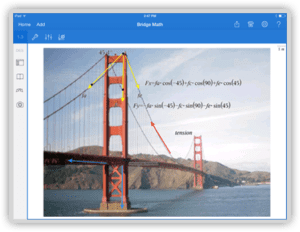 A graphing calculator app from the people who make graphing calculators! But the T1-Nspire does so much more than the actual calculator. Take a photo with the iPad camera and overlaying graphs on the real world. Enter calculations just as you see them in the text. This app calculates but it also teaches. For iPad only.